Made for iPhone (18) ? Is it a coincidence that a Danish-born inventor created the first loudspeakers and that Danish companies account for three of the world's six companies that produce nearly every hearing aid on the planet? We're not sure, but we can say for certain that ReSound, headquartered in Ballerup, Denmark has led the industry in hearing aid innovation and wireless accessories lately – and the company seems to keep going from strength to strength. 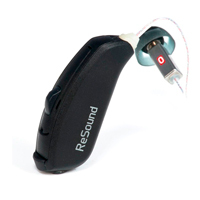 ReSound launched the world's first made-for-iPhone hearing aids in 2014, changing almost overnight the way people think about and use hearing aids. Thanks to this groundbreaking launch, and ReSound's collection of 2.4 GHz wireless accessories, hearing aids suddenly became a convenient, practical, and downright desirable consumer electronics gadget instead of what many people previously saw as strictly a medical necessity. Taking the transformation even farther, ReSound's comprehensive and user-friendly mobile device apps have stood at the forefront of personalized hearing care, offering location-based adjustment, remote fine-tuning, and customized soothing sounds for tinnitus relief. It should go without saying that the design, fit and finish, reliability, and sound quality of ReSound hearing aids are also excellent. LiNX 3D and ENZO 3D represent ReSound’s flagship hearing aids, and choosing between them is relatively straightforward. ENZO 3D is the best choice for severe-to-profound hearing loss while LiNX 3D is ideal for everything else. While ENZO comes only in a BTE style, LiNX comes in several styles from an invisible in-canal to modern behind-the-ear, and everything in between. Consider the popular RIC style - or RIE (receiver-in-ear) as ReSound calls it - or the unique Mic-In-Helix design. LiNX and ENZO hearing aids come in three performance levels: 3, 5, and 7, where level 7 offers the most advanced features. In the sections below, you'll find information on ReSound's current and most popular hearing aids models, along with pricing and feature information so you can determine which ReSound hearing aid is appropriate for you. If you're simply looking to get your ReSound hearing aids repaired, or looking for ReSound parts, like wax filters or domes, feel free to give us a call and we'll point you in the right direction. 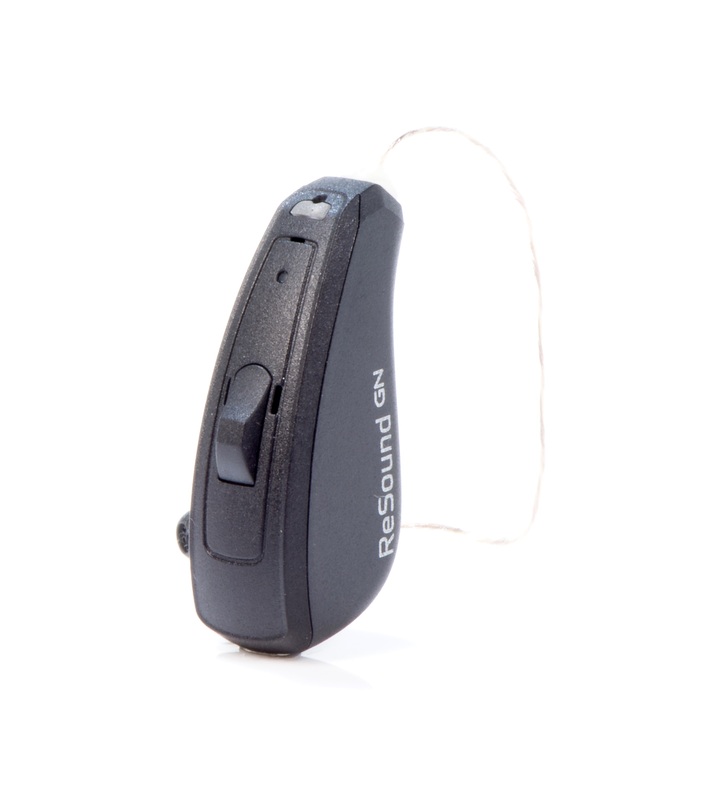 Otherwise, feel free to review the popular models below, and at the top of this page you'll find links to each ReSound hearing aid model, along with prices, features, and online ratings, and more in-depth ReSound reviews on each product page. LiNX 3D is ReSound's third-generation and newest made-for-iPhone hearing aid. These hearing aids connect directly to Apple mobile devices for streaming music and phone calls, just like a set of wireless headphones. You can even answer calls directly from the hearing aids and leave the phone in your pocket (The hearing aid microphones will pick up your voice for the caller to hear). Such tight integration between hearing aids and mobile phones may have seemed like a luxury a few short years ago, now it seems like a necessity. Once you have enjoyed the convenience of wireless streaming, you will wonder how you ever got by without it. With ReSound's award-winning Smart 3D app, you can personalize your hearing using an Apple or Android mobile device. The app is free and no accessories are required to use it. Change the hearing aid volume, switch the listening program, turn down the background noise, and geo-tag your adjustments to let the hearing aids automatically activate your favorite settings when your return to the same location. Here is something even better. The app also enables you transmit an automatic record of the hearing aid settings, along with a request for assistance, to your hearing care professional. The professional can then respond to the request by sending you advice or by adjusting the hearing aids and sending new settings straight back to you. For years, hearing aid wearers have asked for the ability to fine tune their in the real world, and not only in a quiet office. Now, this is finally possible. After your hearing care professional sends the new settings, all you have to do is tap install in the Smart 3D app to save the new settings to your hearing aids. ReSound seems to understand that have your time is valuable. We are not the only ones who appreciate that. LiNX 3D and the Smart 3D app won over critics at IFA 2017, the world's largest consumer electronics show, where the winning combination received the IHS Markit Innovation Award for the most innovative product in the fitness, wearables and health devices category and was recognized for as a leader in UX Design (for intuitive function and seamless human-technology interaction). We wouldn’t want to give the impression LiNX 3D hearing aids focus on convenience and connectivity at the expense of other features, because this is absolutely not the case. These hearing aids are the "whole package", with no compromises. They feature a long list of advanced digital signal processing technology that competes with the best of any other hearing aid brand on the market. Just a few examples include Binaural Directionality III (designed to help you focus on what you want to hear without feeling cut off from your surroundings), Spatial Sense (to help you detect where sounds are coming from), Noise Tracker II noise cancellation technology, Music Mode, Windguard wind noise reduction, and onboard therapeutic sounds for relief from tinnitus. To top things off, these hearing aids are fully automatic, meaning they detect and recognize the types of sounds around you and automatically adjust to provide the best settings for every listening situation. A few more of the options make it easy to find a LiNX 3D to suit almost anyone's preferences. LiNX 3D rechargeable provides 14 hours of power (with 2 hours of streaming) on a single four-hour charge. All the BTE and RITE styles come in a wide range of 14 colors, making LiNX 3D great for blending in or standing out. Got a military heritage or outdoor inclination? Try the Desert Camo or Forest Camo. Did we mention that they are water resistant? Every part of these hearing aids is protected by iSolateTM Nanotech coating to repel water, keeping moisture, dust, and dirt out. The thing for you is a trifecta of effortless high-performance hearing, stylish yet functional design, and seamless audio streaming from mobile devices or wireless accessories. 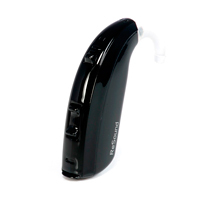 You want a rechargeable hearing aid that offers the best of everything, just like its disposable-battery twin. The convenience of remote adjustments and virtual office visits, award-winning apps, and taking control of your tinnitus would make you smile. 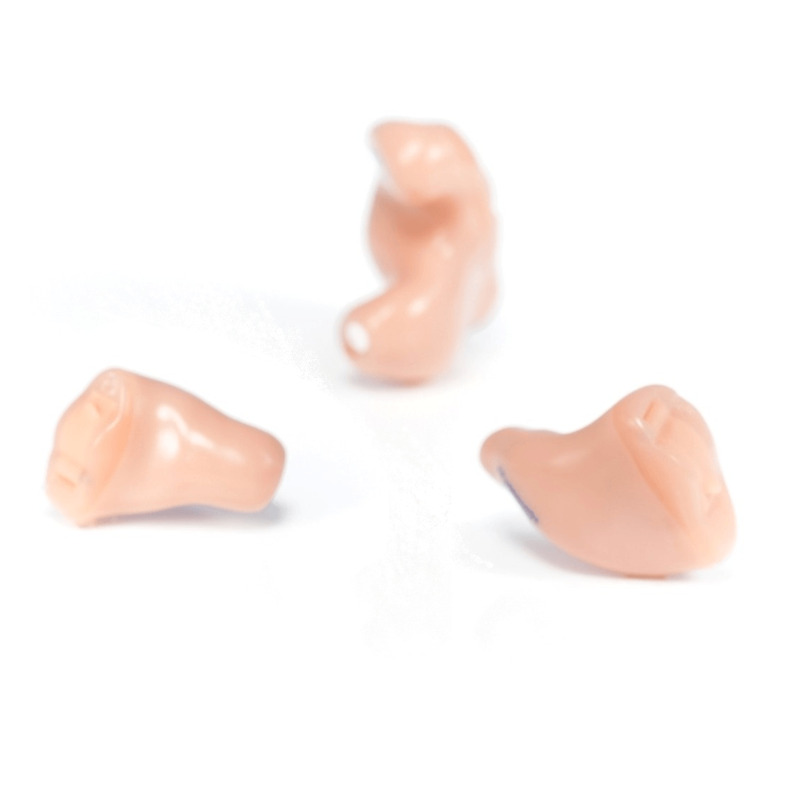 ENZO 3D is the smallest hearing aid on the market, according to ReSound, for severe-to-profound hearing loss. 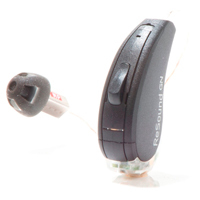 These hearing aids are also among the smartest available. Like their cousin, LiNX 3D, ENZO 3D hearing aids were made for iPhone, so they connect directly to Apple devices for streaming music and phone calls. We can't think of anyone with hearing aids and an Apple mobile device that would not appreciate this functionality, because every word counts when you really want to hear and understand. Every bit of hearing counts too, so if you want to make the most of yours while using a mobile phone, there is no better way to do it than with direct audio streaming and a video call to let you see the other person’s face while you talk. Made-for-iPhone hearing aids aids, like LiNX 3D and ENZO 3D are perfect for this. Some high-powered hearing aids include a lot of power and not a lot of anything else. With ENZO 3D you get plenty of volume, and feedback control to prevent whistling, as you would expect. 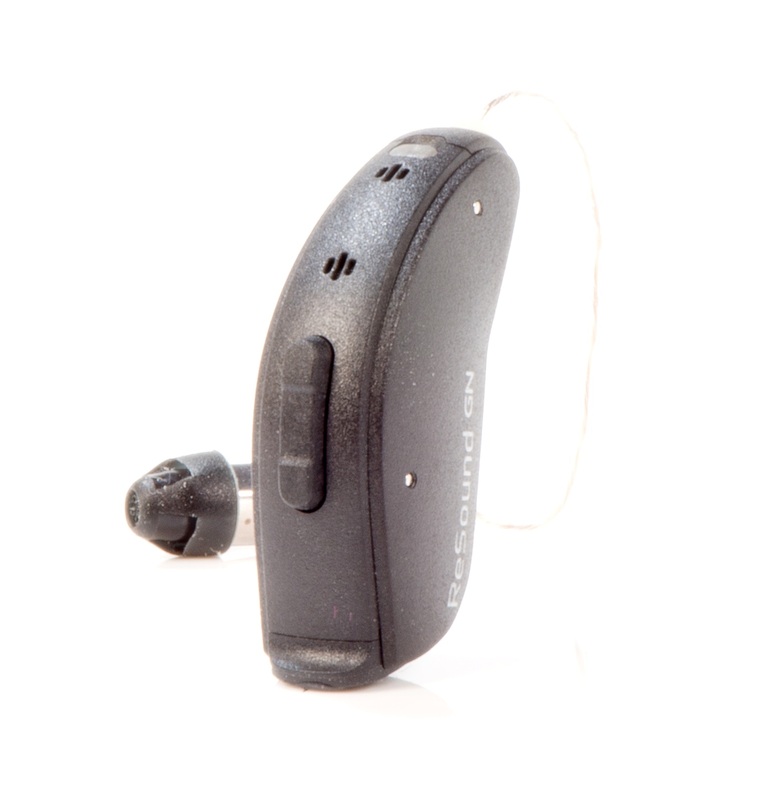 You also get some advanced features often left out of other hearing aids in this category. For example, ENZO 3D include Binaural Directionality II and Spatial Sense technology. This sophisticated audio processing relies on the wireless connection, which most high-powered hearing aids don’t have, between the right and left hearing aids. This enables more effective noise reduction and speech enhancement than possible with hearing aids that lack ear-to-ear connectivity. ReSound's Smart 3D app lets you control ENZO 3D settings directly from compatible Apple or Samsung mobile devices. Use the app to customize your listening preferences, request virtual office visits, or receive new settings remotely from your hearing health professional. ENZO 3D hearing aids come in two behind-the-ear styles, one of 10 color options. Choose from three performance levels. All models are coated with iSolateTM Nanotech to seal out water, dust, and earwax. You have severe-to-profound hearing loss and want to enjoy seamless made-for-iPhone connectivity and a range of easy-to-use wireless accessories. You intend to wear the hearing aid in one ear to complement a CochlearTM Nucleus® Implant System in the other ear. For anyone considering the LINX 3d hearing aids, be advised that you cannot get this model in the invisible style and ALSO have made for iphone features. I was hoping for the invisible in canal style and direct phone call streaming with my iphone, but it is not possible. I can still control these units with the Smart app but I cannot stream audio. If I want to stream audio, I have to settle for a larger aid which I am not willing to do. Other than that surprise these hearing aids have been superb with an excellent quality of sound. VERIFIED BUYER | Hot Springs Village, AR	? I have worn several hearing aids ove the last 8 years. These are without a doubt the best I have had.sound quality is great & they are comfortable to wear. I especially like the connection to my IPhone, I can now hear clearly phone conversations & I like being able to make adjustments with my phone. My only regret is that I have the Quatro 7 instead of the 9, they would have to be even better if that's possible. It does everything! MFi works well with Phone Clip. Streaming is fabulous, music quality is amazing. I even play music from my Samsung Gear S2. Seamless phone calls. I use mute on Phone Clip to mute outside sounds during phone calls and music. Multi Mic for remote streaming is wonderful and you can attach it to all kinds of things. I attach my Multi Mic to walkie talkie at work. telecoil works great. I wish it went to both ears like Phonak. But considering that is my only complaint, I still give 5 stars. App is pretty good. Allows to individually adjust volume per ear, see battery life, find HAs. Battery life with 675 is over a week even with heavy streaming.